Electrotransfection and electrofusion, both widely used in research and medical applications, still have to face a range of problems, including the existence of electroporation-resistant cell types, cell mortality and also great batch-to-batch variations of the transfection and fusion yields. In the present study, a systematic analysis of the parameters critical for the efficiency and robustness of electromanipulation protocols was performed on five mammalian cell types. Factors examined included the sugar composition of hypotonic pulse media (trehalose, sorbitol or inositol), the kinetics of cell volume changes prior to electropulsing, as well as the growth medium additives used for post-pulse cell cultivation. Whereas the disaccharide trehalose generally allowed regulatory volume decrease (RVD), the monomeric sugar alcohols sorbitol and inositol inhibited RVD or even induced secondary swelling. The different volume responses could be explained by the sugar selectivity of volume-sensitive channels (VSC) in the plasma membrane of all tested cell types. Based on the volumetric data, highest transfection and fusion yields were mostly achieved when the target cells were exposed to hypotonicity for about 2 min prior to electropulsing. Longer hypotonic treatment (10–20 min) decreased the yields of viable transfected and hybrid cells due to (1) the cell size reduction upon RVD (trehalose) or (2) the excessive losses of cytosolic electrolytes through VSC (inositol/sorbitol). 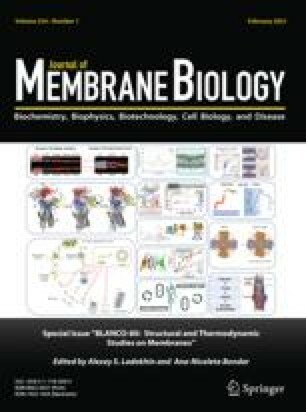 Doping the plasma membrane with lipophilic anions prevented both cell shrinkage and ion losses (probably due to VSC inhibition), which in turn resulted in increased transfection and fusion efficiencies. This work was supported by grants from the Deutsche Forschungsgemeinschaft to U.Z. and V.L.S (Zi 99/12), and to W.A.S. and V.L.S. (SCHE209/17).